Don't miss a word during the tour with our Vox radio headsets. Our knowledgeable guides will provide a wealth of information and humorous anecdotes not found in any guidebook. 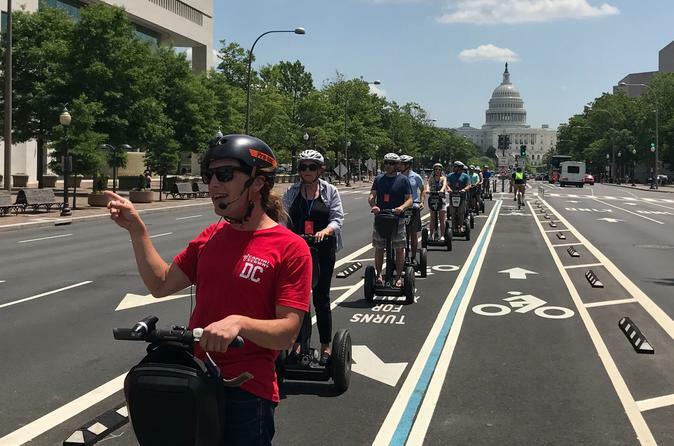 All tours begin with a 30-minute training session on how to operate the Segway. You will watch a brief video and presentation, then receive one-on-one instruction from our experienced staff. Don't be nervous! Many of our visitors are first-time riders and most people get the hang of it within a few minutes. Once everyone is comfortable, we will do a quick soundcheck and off we go! Bring your camera! There is a bag on the Segway to carry along small personal possessions, but we recommend you leave larger purses and backpacks in the shop.